Designing documents with folds is a difficult task with current desktop publishing software, and this subject is also hardly explored in the academic literature. Because the flat nature of the screen, document design is limited to a two dimensional space, demanding extra effort from designers to place the art with respect to the folds, sometimes forcing them to resort to paper prototyping. Results from interviews performed with design experts, helped us to understand the challenges and needs faced by them during the document creations. 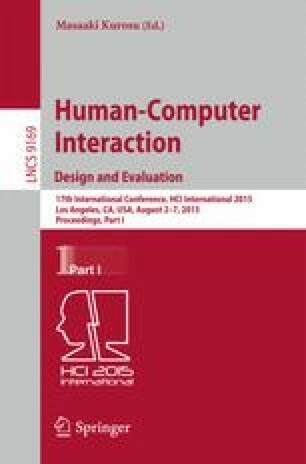 This paper presents an interactive visualization approach to compose foldable documents and to interact with the results without resorting to external means. We consider that a foldable document such as brochure is composed by panels joined at the edges and the content of each panel is designed separately. We describe our interactive approach and the results generated by a prototype we developed to support the composition of foldable documents. This paper was achieved in cooperation with Hewlett-Packard Brasil Ltda. using incentives of Brazilian Informatics Law (Law n. 8.2.48 of 1991).